Your garage door is so handy and so convenient — but it also represents an investment that should be protected and maximized. That’s why you should be thinking about snow protection for your garage. When winter comes and the snow starts to pile up, it can have an adverse effect on your garage and its operation. 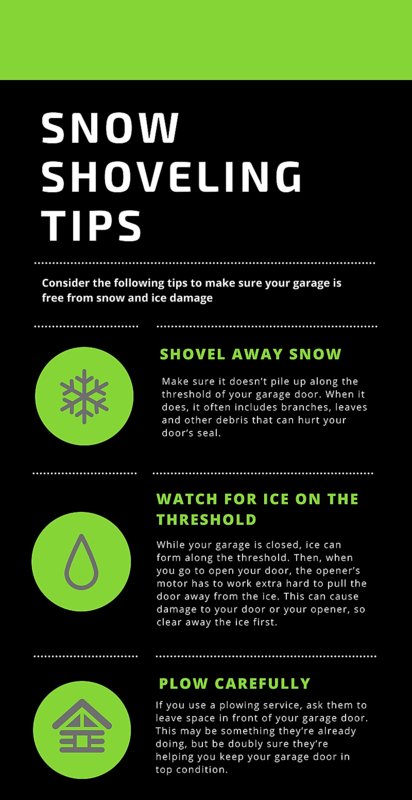 So make sure you’re thinking through winter preparedness for your garage. Here’s a look at a few snow removal tips for garages to help you get started. How Can Snow and Ice Damage Your Garage Door? Rubber and vinyl may harden and crack. Wood doors will absorb excess moisture. Tracks can bend or misalign. The weight of your door can shift and become imbalanced. Motors are forced to lift heavier loads. Only close on a clear threshold: If your garage door has been open for an extended period of time and snow or ice has developed along the threshold, clear it away before closing. If you close your door on snow and ice, the automatic reverse mechanism may kick in. Or, worse, your garage door may close and be unable to open. Watch for ice on the threshold: While your garage is closed, ice can form along the threshold. Then, when you go to open your door, the opener’s motor has to work extra hard to pull the door away from the ice. This can cause damage to your door or your opener, so clear away the ice first. Shovel away snow: The same thing goes for snow. Make sure it doesn’t pile up along the threshold of your garage door. When it does, it often includes branches, leaves and other debris that can hurt your door’s seal. Plow carefully: If you use a plowing service, ask them to leave space in front of your garage door. This may be something they’re already doing, but be doubly sure they’re helping you keep your garage door in top condition. Choose weather resistance: When you can, choose a weather-resistant garage door. Garage door technology has advanced to the point where modern options can withstand the harsh winters in certain climates. If you have tough winters in your area, choose a weather-resistant garage door. Are you in the market for a new garage door? Find an outstanding collection of top-quality options when you choose Stapley Action Garage Door. As a Clopay® authorized dealer, we can offer garage doors that enhance your home’s attractiveness and deliver the durable, long-term performance you want. Our garage door technicians are able to help repair or replace your residential garage door with customer satisfaction guaranteed. Contact us today or call us at 480-655-1255 about a new garage door for your Arizona home. 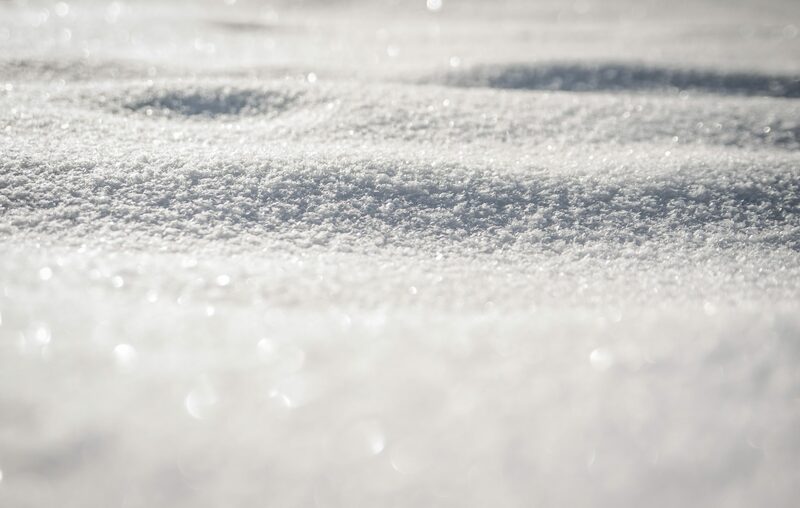 Learn about snow removal for garages and tips to protect your garage for the next snow storm. Request an estimate with Stapley Action Garage Door.